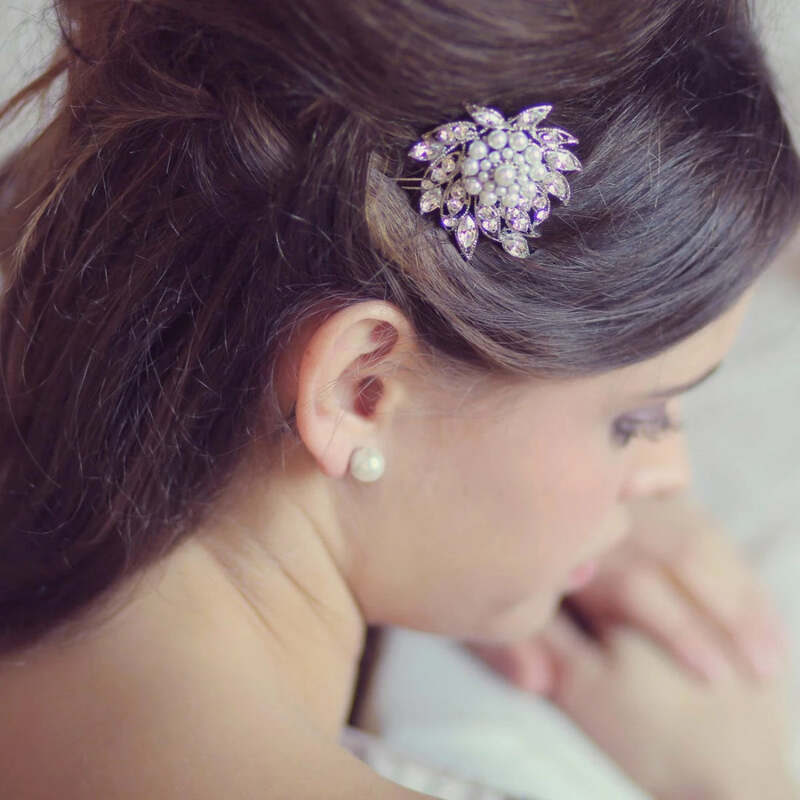 Utterly gorgeous, this statement vintage inspired large hair slide flaunts fabulous Flapper style to perfection. 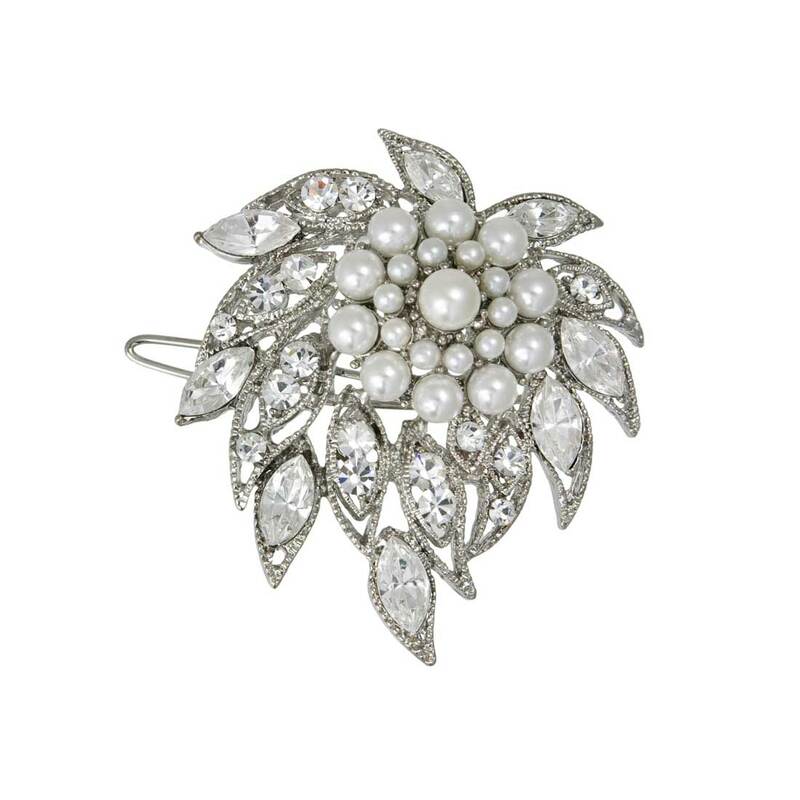 Featuring a silver tone crystal studded feather edged design with a raised ivory faux pearl centre piece, this versatile '20's inspired hair accessory looks so chic worn at the side of the head, pinned in a loose chignon or elegant up-do. Brides and bridesmaids who adore antique chic style will fall in love with this 'piece' which exquisitely compliments vintage wedding gowns. I wore this for my wedding last year and it was perfect for an understated look to compliment by detailed dress. The quality is also fantastic.